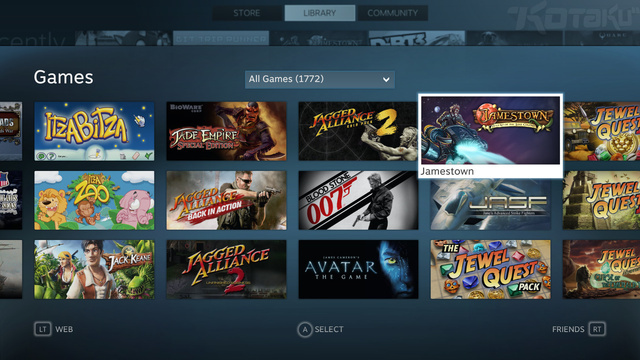 Bring Steam to your living room with the Big Picture Beta! 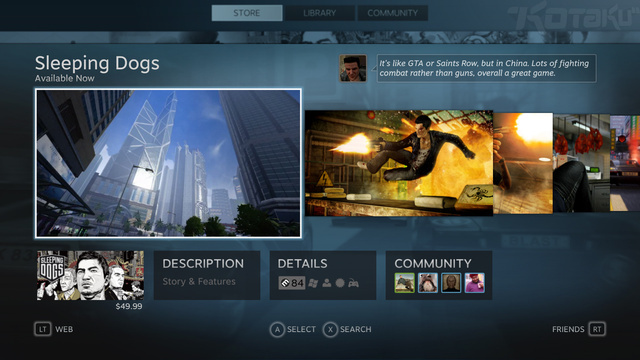 Valve's plan to bring into the living room starts today with the Steam Big Picture beta available to all steam users. 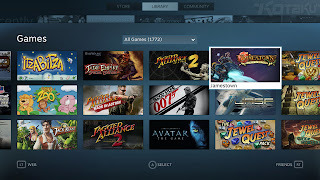 The main goal is to optimize how you play and view steam content by rearranging content to create a visually appealing interface that supports a controller. 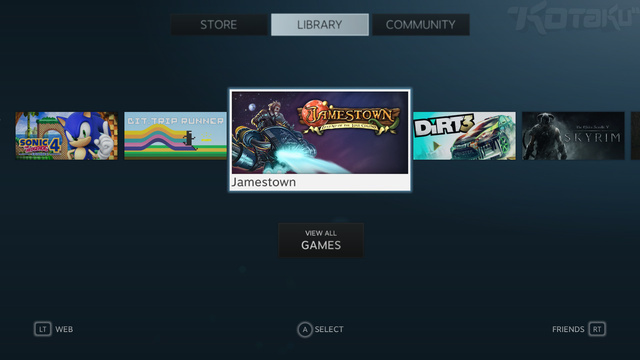 You'll also be able to use a web browser, view steam friends, and purchase and play new steam content given your pc can connect to a monitor or tv. 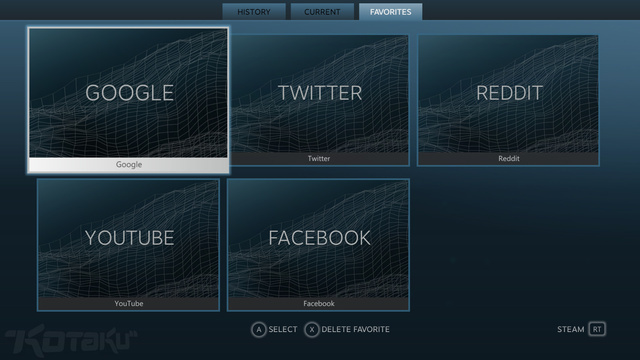 Below are examples of the interface, and they look pretty slick!